Synthetic turf IRIS 20 is designed according to nature grass. A ‘spine’ run in the middle of each blade just like nature turf, giving IRIS20 an asset for superior ‘memory’ and swift resilience. Super fine blade with spine significantly reduces the reflection to the light, hence creates a matt finishing super natural appearance. IRIS 20 is exclusive to Artificial Turf Direct. It offers unbeatable value for money. It is perfect for front yards, verge area and surrounding swimming pools. It is also the recommended product for pets. 4-tone colours with both straight and curled yarn. 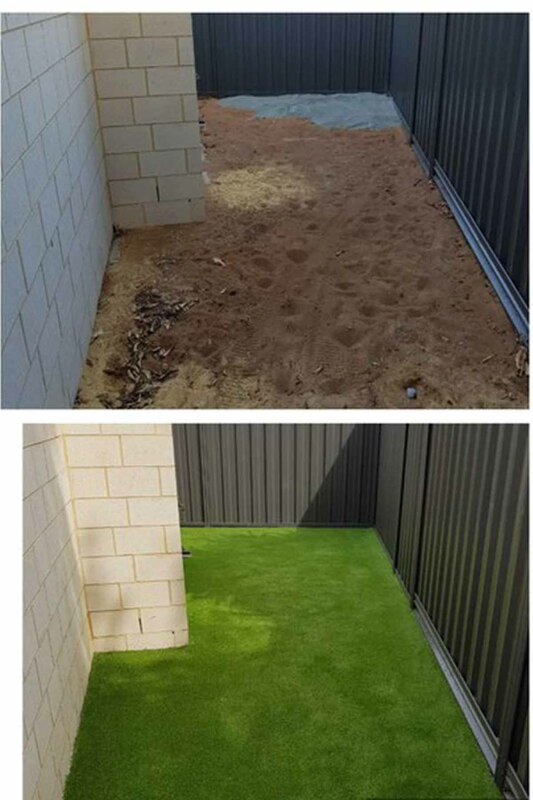 Manufactured with the latest technology, a stem is built in each blade of grass providing a more natural appearance than the traditional synthetic turf and better durability. Eligible ABN holders, please call 08 93377715 for our further discounted wholesale price.